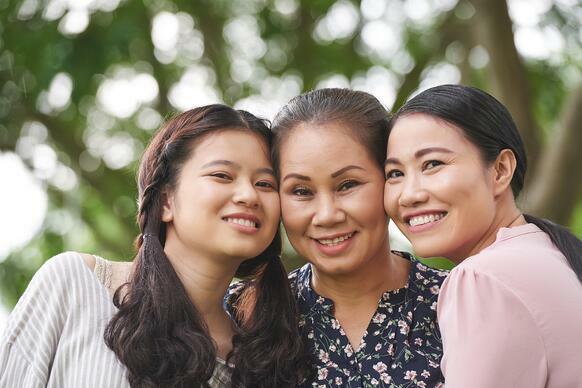 / Caregiver 101: What is the Sandwich Generation? Have you ever felt like the fraying rope in a never-ending game of tug-of-war? Your parents are on one side and your children are on the other. Both want and need your attention and support, often both emotional and financial. And then there’s your career, your own health and fitness, and your hobbies – they’re tugging at you, too. Hard. In 1982, social worker Dorothy Miller first coined the term, “sandwich generation,” when referring to young women (in their 30s and 40s) who were raising young families while simultaneously taking care of their own aging parents. Traditional Sandwich: This refers to caregivers of two generations: both their own children and their parents. Club Sandwich: There are two types of club sandwiches, both of which refer to caring for three generations. The first references adults in their 30s and 40s, who have young children and both aging parents and grandparents. The second refers to adults in their 50s or 60s, who provide care for their own parents, as well as for their adult children and grandchildren. Open-faced Sandwich: Anyone else involved in elder care is referred to an open-faced sandwich. More than just a kitschy term to describe a demographic, the “sandwich generation” truly defined an emerging trend in elder care. In 2006, the Merriam-Webster and Oxford English Dictionaries officially added the term to the dictionary. The Sandwich Generation is now recognized across mainstream culture. What Does the Sandwich Generation Look Like? If you’re reading this, the Sandwich Generation probably looks a lot like you. And, you’re not alone. The majority are middle-aged, between 40-59; about 19% of the Sandwich Generation is under 40, and 10% is over 60. The caregivers are predominately, although not exclusively women. According to the Pew Research Center, almost half (47%) of adults in their 40s and 50s are raising young children (or financially supporting a child 18+) and also have a parent aged 65+. About 15% of those middle-aged adults financially support both generations – children and parents. Furthermore, 38% of this sandwich generation says that both their parents and children rely on them for emotional support. This all boils down to overtaxed people pulled in many directions: You’re smack dab in the center of your own life, with your own personal and career challenges, but you’re also balancing the dueling needs of your children and your parents. In addition to a part- or full-time job, you probably spend 10-20 hours/week caring for your parents. And then there are your children’s educational, extracurricular and social needs. It’s a balancing act. And it’s often stressful. Multigenerational caregivers have a lot on their plates, which can lead to high stress levels and priorities that fall by the wayside. There simply are not enough hours in the day, are there? The first thing to get out in the open is money: How much do your parents have? What are their monthly expenses? How much do you have? What are your monthly expenses? Chances are, you’ll eventually take care of your parents’ finances: paying the bills, filing taxes, balancing a checkbook, and more. If it feels overwhelming, consider hiring a financial planner for some basic advice, or even contracting a bookkeeper for few hours a month, to help keep your parents’ (and even your) finances in order. Yes, these services cost money, but they’ll also save you time and headache, plus they offer peace of mind that everyone’s finances are in order and well understood. Schedule time for yourself. This is not optional; it’s a requirement of life. You need time to be you, not just a caregiver to your children and parents. Exercise. Read a book. Eat well. Go on dates. Take breaks when you can. Even if your time-to-yourself is short (ex. a few hours at the gym every week) or infrequent (ex. a weekend getaway once or twice a year), do schedule it. Your heath, happiness, and wellbeing cannot take a backseat. When the hours in a day really aren’t enough, then something’s got to give. If you wish you could leave your part- or full-time job to care for your aging or disabled family members, then there are programs to help. A program like Caregiver Homes walks with you every step of the way, providing the support, knowledge, and financial assistance you need to transition to being a primary caregiver. The relief on demands for your time, coupled with increased know-how in the field of elder care, may be just what you need to find balance again. Remember, you are the Sandwich Generation and you are not alone. Millions of Americans face similar challenges, every day. There is help out there – lots of it! Don’t be afraid to ask.